All I can say is this book was my savior! All I can say is this book was my savior! All the doubt and questions that have been racing in my mind the last year finally feel valid. I’m not alone! I’m just one of many. Thank you Michael. I’m really understanding the ups and downs are only round blocks we all go thru to get to our finish line. Buy it, read it, try it, and go forth! If I had a one word limit, it’d be WOW! When I first saw this title, I was intrigued. As a serial entrepreneur, my first thought was, “Oh boy. Someone actually said it.” That word, unspeakable by my own optimistic self, hit really close to home. I have to admit, I was cautious about reading it and about Michael Dermer. Too many people, I thought, think they know what the entrepreneurial journey is about. I often end up tuning out their words because they don’t get it, haven’t lived the journey, gave up, or something else that isn’t IT. Let me just say, this book is spot on. I would bet there isn’t an entrepreneur on the planet who hasn’t lived through much of the journey that Michael has. This is a book that provides real insight for those entrepreneurs who are serious about their businesses and who are willing to do whatever it takes to make sure that their company thrives, that their employees are taken care of, and that their customers are delighted with their product(s). My recommendation? Buy it, read it, highlight the good stuff that you find, and go forth and multiply! This is a must-read for any founder or entrepreneur. The core premise of the title is a simple truth in companies big and small: it is lonely at the top of any organization. For those starting new ventures or building small businesses, the entertaining and personal stories of this book will offer a highly relatable and actionable set of insights. It’s a straightforward, enjoyable read that will help entrepreneurs prioritize what matters, build a critical foundation for the company, and realize that an entrepreneur’s mindset and perspective is critical. The Lonely Entrepreneur offers highly practical advice in a quick read that will unlock the value of entrepreneurial spirit by helping founders feel just a little bit less alone in their struggle. I will be recommending this book to clients, friends and colleagues. I am a designer about to launch my own label. I have had very specific ideas of what I want my brand and designs to be like, who my customers are, and how to target them. At least in theory. When I started to take the first steps into founding the label though, things started to become kind of overwhelming at times. So many things that needed to be taken care of, so many decisions to be made. I quickly started questioning myself. Thus I am just so happy I have found this book. It’s well written, easy to read but at the same time offers brilliant strategies that helped me set my perspectives straight again, figure out who I am as an entrepreneur and what my strengths are. I’m so looking forward now to getting back to work and, hopefully, launching my brand this very year. This is a ‘can’t-put-it-down’ page-turner. This is a ‘can’t-put-it-down’ page-turner. Not only because Michael is an accomplished storyteller who weaves plenty of his own personal anecdotes – and personality – into the mix. But because there’s also just as much practical guidance, steeped in real-life experience. Michael ‘gets it’ – and gets under the skin of what really goes on for entrepreneurs. Insightful, humorous, eye-opening! I had the pleasure of speaking with Michael and realized how lonely being an Entrepreneur can be.I am a stay at home, working without benefit of conversation with others and I am lonely! Married 48 years, how can that be?? I knew that in order to achieve success, I had to evaluate how I would approach this situation. There are strategies to work on and most of all, to achieve success, you need to know you strategy as well as other’s entrepreneurs strategies. I did this 30 years ago and I’m still working on myself and perspectives, almost daily. If you are an entrepreneur, this book is a must-read. Michael will help, through his writing, you discover things I took years to know. Save yourself the time and read this book. It will give you perspective on your business. Shows real life situations and how to overcome difficult obstacles in the business world. Dermer shows what it is like being an entrepreneur in the business world today. He provides insight on what it’s like to manage your own business as well as the highs and lows that come with it. His own personal stories in addition to the stories he tells of others in the business world, I found to be truly inspirational and incredibly helpful in learning from. Additionally, his personal voice that comes through throughout the time he is advising makes it interesting and effortless to follow along. He explains that no matter the difficulty of the current problem, there is always another way of looking at the situation that can provide some clarity into what the right next move might be. Dermer shows us how to follow our dreams, and never lose hope of our dreams of becoming an entrepreneur. Great read! Book is well written, genuine, honest, educational and entertaining. As a reader it captivates you and one can feel it came straight from the author’s heart. The examples and advice presented in the book can be applied to several aspects in ones life, not just the life of an entrepreneur. This book is great for anyone that has ever faced any sort of struggle both in their personal or professional lives; be it preparing for a big exam, advancing in the work place, or starting your own business just to name a few. And the fact that the author uses his own personal stories as examples to make and support the key points in the book is very insightful and makes them very memorable. Well done. Instead of a business coach…. In the great Amazonian pool of business books, this one stands out. There is no shortage of advice on how to start and run your company. But the majority of business self-help books focus on the company, in essence, looking to fix or improve aspects of the business itself. They concentrate on things like the ROI (or plug-in your favorite metric), where and how to get business loans, on hiring talent, on creating a strategy/vision and a million other MOST important priorities. While all of those are relevant, that is not where everything begins. The one critical item, some consider it priority number one, is the person in charge of it all. The Entrepreneur. In his book Dermer not only discusses all of the daily challenges a manager faces but more importantly, he explains and shows us how to step back and gain a new perspective to better deal with difficult issues. His advice on how to gain a different point of view has tremendous value. Often we are stuck in the same pattern and can not change our perception. That is human nature. Once we find a solution, not the correct solution but a solution, or fixate on a problem, it is very difficult for our mind to shift attention or step outside of the existing situation to take a fresh look. In psychology, this is known as the confirmation bias. It is much easier to find evidence to confirm what we think than to find evidence that might lead to a change in our point of view. This book shows leaders how to gain a fresh perspective on the problems they encounter daily. Easily digestible, pleasantly written with practical advice for the everyday minutia. This book is well worth the time. An old creed comes to mind, it has to do with the nuanced difference between a soldier and a warrior. Both do battle, but the soldier is all about the exterior values (strength, speed, smarts, etc. ), while the warrior contains all of the soldier’s traits plus the inner aspects (rectitude, mental toughness, calmness in decision making, humility, etc.). If you’re an entrepreneur, you’re already a soldier. This book will help you become a warrior. Read it, you won’t be sorry, you might even learn a thing or two! By Mr Don RiddellThoroughly inspiring and beyond helpful — highly recommend for anyone on the entrepreneurial journey or ever hopes to be. A smart, unique book from a smart, insightful author. It’s obvious Dermer has endured in extremes what he writes–both the great financial success and the entrepreneurial community as well as times of struggle and the loneliness–and he translates that experience into actionable take home for the reader… A must for anyone who has ever started a company or has even considered it. Whether you are starting out, or contemplating your next venture – Read This Book! Regardless of the business, we all struggle with the same challenges, and that includes not only taking a look at business fundamentals, but taking an introspective look at our own psyche as human beings. Michael takes a holistic approach to the persona to maximize all of the ways to make you productive, so you work on your business , not in it. As a long time entrepreneur, it was refreshing to see this offered as a primer designed for the beginner and experienced entrepreneur alike – a blueprint for success, and one which, if I had before me on more than one occasion, could have saved me from myself; the point being , book provides a roadmap within which to place your business context to avoid some unnecessary pitfalls. 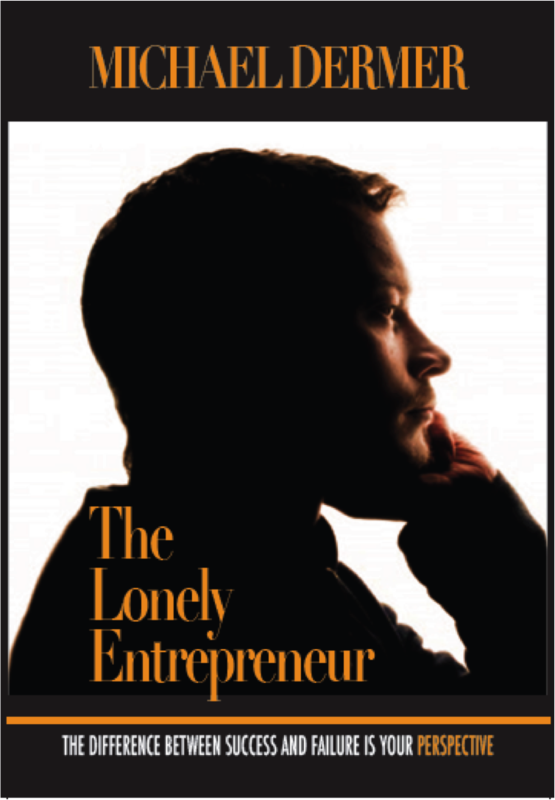 Having been held captive to many of my own entrepreneurial endeavors I was really taken by the title, The Lonely Entrepreneur. It takes one to know one. To paraphrase Mark Twain, “success in business requires two things..confidence and ignorance …in that order. By nature entrepreneurs exude confidence, self-reliance self-determination, but most of all they are zealous believers their religious faith, the “work ethic “ It is that blind faith that occludes robust success and a life worth living. This author who has fallen victim to blind faith has “seen the light” and offers a novel perspective and a unique path to true success Where was he when I needed him?It is an easy read page turner written in a human, useful and often humorous style. Using engaging and relatable storytelling, this book is an incredible resource for any entrepreneur. I found it hard to put down and often noticed myself nodding my head thinking “this guy gets it!”. There is so much here that I hope this develops into workshops for new CEO’s and business incubators. Highly recommend! 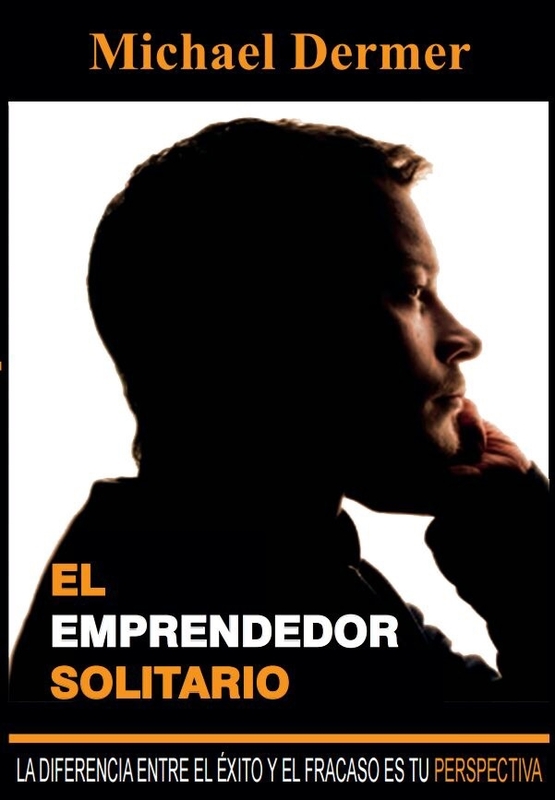 “The Lonely Enterpreneur” book, without a doubt, is must-read not only for entrepreneurs but also for anyone who wants to become one. It’s highly packed with lot of insights, deep analysis especially on Four P’s and from Michael’s Personal experiences. While there were many noteworthy things about this book, there were three that most touched me. First, when I read the book carefully, there are a series of good questions that Michael give entrepreneurs to ask in a different context. Second, there is invaluable, practical money wisdom that is especially helpful for young and starting entrepreneurs. Third, Michael shares advice from his personal experiences and not scared of sharing personal mistakes. Apart from this, the book is very accessible and easy to read. Will definitely RECOMMEND it!! As a business owner, I really enjoy reading books on brand building strategies. And I received a lot of value from reading the Lonely Entrepreneur. The author does a great job at providing relevant and informative tips. He also allows readers to be reflective about their leadership by outlining the pitfalls entrepreneurs commonly experience. Several areas of my practice I now approach differently as a result of reading the Lonely Entrepreneur. Definitely worth reading; interesting and captivating. I just finished reading The Lonely Entrepreneur and the only regret I have is that I wasn’t able to read it sooner! It was a truly captivating piece of non fiction, easy to read, and full of extremely useful tips and information that can be applied in many different settings. I found that the suggested changes in perspectives can be applied to both business and non business-oriented professions, and even to multiple situations in one’s personal life. The ideas presented in this book are so simple and so obvious, and yet it takes so many of us years to find out how our limited or faulty perspectives may be holding us back and keeping us from succeeding despite the hard work we put in. Thanks to Michael we no longer need to struggle with everything on our own and figure it all out by trial and error. The Lonely Entrepreneur gives us a gift of freedom from the near sighted and damaging ideas that so many of us seem to hold onto. By utilizing personal stories and examples, the author makes the content very readable and easy to identify with, and the abundant humor strengthens his points and makes them memorable. The sincere, genuine concern for and the desire to help his fellow entrepreneurs is obvious. He hands us the tools for success, and it would be foolish not to use them. This is a book not just for any entrepreneur. It is a book for the smart entrepreneur. By building on Michael’s experience, the experience of someone who has lived through it all, the entrepreneur of today can now be more efficient, effective and wiser: an entrepreneur wth an advantage! Even though up until now I did not know anything about the business world, I found this book very interesting and informative. It makes me want to join the entrepreneurial world and start a business.